Almost everyone who flies into San Francisco or San Jose airport has seen it -- a vibrant patchwork quilt of colorful water. There, on the southern edge of the San Francisco Bay, you can see bright pinks, pumpkin oranges, neon greens and deep magentas, contrasted against the dark blues of the natural bay water. The last time KALW listener Donna Staton peered out an airplane window, she saw it, too. “When the plane takes that right-hand turn and goes up the Bay, at the southern end, there’s a lot of bizarre colors and squares and some are big white squares on the water, and some are pink squares. It just made me wonder what is all that, and why doesn’t the Bay have a more natural coastline at the southern end?” She asked KALW’s community engagement project, ‘Hey Area’ to find the answer. To get the best view of what Donna’s talking about, it helps to have a kite. Just ask kite aerial photographer Cris Benton. You can find him here on the South Bay shoreline most weekends, talking to his kite like a pet as he slowly coaxes it up into the air. “It’s just absolutely wonderful holding this line and being connected to this big invisible mass of air that’s floating past us...very satisfying,” he says as he unravels the kite line through a worn leather glove on his right hand. Benton’s kite is red, blue and white, with a long tail that looks like a red feather boa. But the really cool thing about it is how he can fasten a digital camera to the line and send it up hundreds of feet in the air to snap pictures below. “When I first started photographing down here, it was largely an intoxication with the sort of color and texture of the place,” Benton says. That was over a decade ago when Benton took a sabbatical from his job as an architecture professor at UC Berkeley to work with a microbiologist. The biologist photographed the Bay Area landscape from his microscope, and Benton captured the same area from above. One day, they came here, to the water’s edge of the South Bay. Cris Benton's digital camera hangs from the line on his kite. This visually exuberant landscape -- the reds and the corals and deep oranges outlined with bright white borders -- they look like they could be natural, but the colorful squares are man-made salt ponds engineered to extract and harvest salt from the salinity of the bay water. All 8,000 acres of ponds are now managed by a company named Cargill. “Cargill is harvesting about 600,000 tons of salt here in the South Bay. You can see the big stack of salt down in Newark. It’s the one remaining salt plant,” Benton says. The mud and the Mediterranean climate make it a great place to harvest salt from the water. A handful of family-owned businesses kickstarted the industry over a century ago, before they were all bought up by Cargill. “These are the remnants of really what is still an active enterprise, the evaporation of bay water to produce salt for industrial use and sometimes for the culinary use,” Benton says. Cris controlling his kite from below at Bayfront park. You can find Cargill salt on icy roads, on pretzels, and in shakers on your dining room table under the brand name, Diamond Crystal-- after it’s been cleaned up, of course. Salt making is a pretty simple process. Slightly salty bay water flows into one pond and then gravity does its magic. The salt water works its way from pond to pond to pond. As it does, it gets saltier and saltier through evaporation. “Those are colors related to the salinity of the salt ponds, and they are produced by microorganisms,” says Benton. As the water gets saltier, fewer things can survive in it, and that’s why we get those magenta and bright pink colors: only a few types of algae and bacteria can bear the saltiest of ponds. They’re called halophiles -- salt lovers -- and they tend to be pretty colorful. “So each band of salinity will host one or two types of halophiles, they go through a whole range of greens, reds, oranges and yellows,” Benton says. Benton moves his camera with a radio airplane controller. He walks around for hours, adjusting the camera and taking photos every other second, sometimes running back and forth to make sure the camera doesn’t fall into the water. He likes to use a kite is because it can go high enough in the air to give perspective, but low enough to notice the changes in the landscape, and changes away from commercial salt. Cris Benton controls his camera with an reworked radio airplane controller. “I am trying to capture the transition we are experiencing today, which is as rapid and dramatic as anything that has happened before, and it's going in a happy direction, too,” he says. As part of a huge effort called the South Bay Salt Pond Restoration Project, the Cargill salt company has freed almost 16,000 acres of their salt ponds. “We started managing for wildlife instead,” says Cheryl Strong, a biologist with the project. I meet her at the Don Edwards National Wildlife Refuge in Fremont - a spot where a lot of this restoration work is happening. We walk up a hill and peer down at salt ponds in the midst of transformation back into their natural state - marshland. The process, like making salt, is also really simple. “Literally going in with an excavator and cutting a hole through the levee,” Strong says. It allows the tide to come in and out, twice a day like it does naturally. “As it comes in, it brings in sediment, it brings in seeds and that's how you start to build your marsh,” Strong says. The ponds that have walking trails along the levees or power towers running through them take a bit more planning, but otherwise, it’s pretty easy. Take for example a salt pond the project opened up to the tides in 2006. Workers dug open the levees with a backhoe and watched nature do its work. “It is already growing a massive amount of native title marsh within it, and we already have our two endangered species using that pond in less than 10 years. So that was like a huge success story and happened much faster than we thought it would,” Strong says. 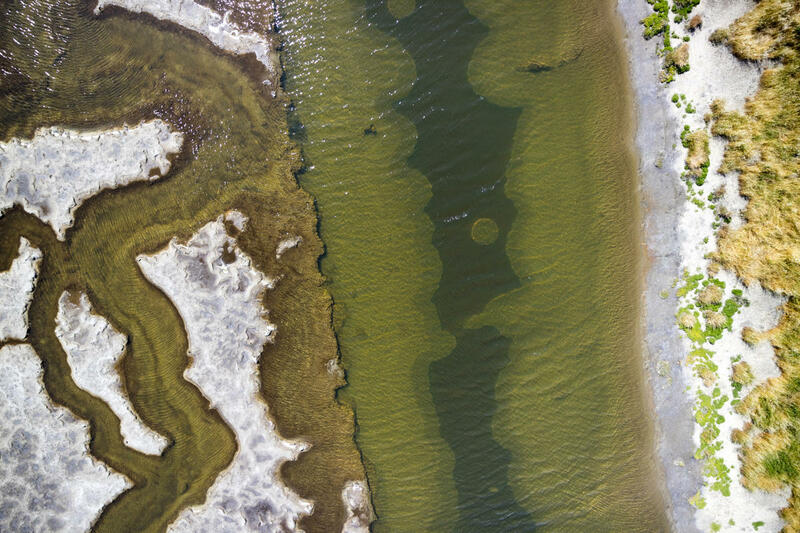 Cris Benton captures the changes in the salt marsh restoration from his kite. So far, the project has restored about half a dozen salt ponds in the South Bay, with three more coming in the next five years. In response, Bay Area specific species like the salt marsh harvest mouse and a bird called the Ridgeway’s Rail have bounced back. Another bonus, says Cheryl Strong? Protection from sea level rise. “Silicon Valley is built up against these small ponds and they are currently providing some level of flood protection, but they are not flood protection levees. If we can get some tidal marsh built out in front of those ponds or turn some of those ponds back into tidal marsh, they will provide a much better buffer for sea level rise as we see those sea levels increase,” she says. As these areas transform from salt pond to marsh, the vibrant colors change too. “So you're going to see a lot more natural blues and greens on the landscape because we don't have that result of high salinity water at the end,” Strong says. Photographer Cris Benton witnesses this shift from the camera on his kite. 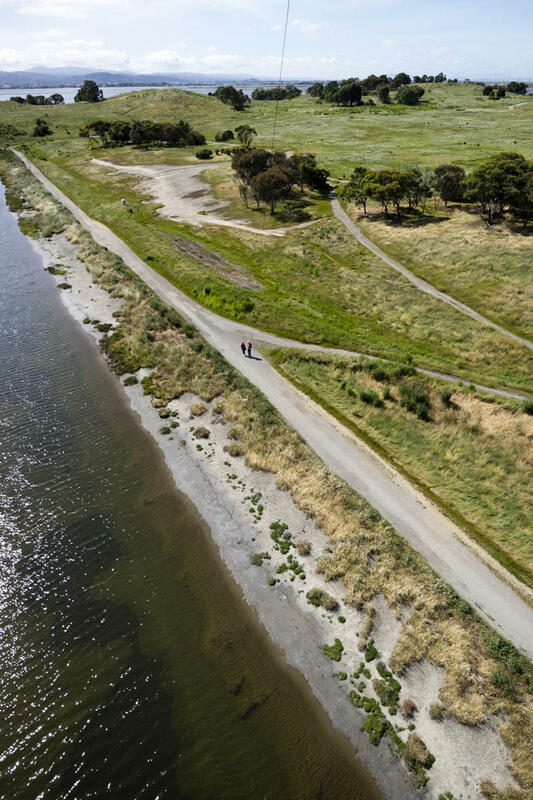 Cris Benton's aerial kite shot of Bedwell Bayfront Park in Menlo Park. He’s okay with that, and so is Donna Staton, our listener who wrote in asking about the salt ponds. 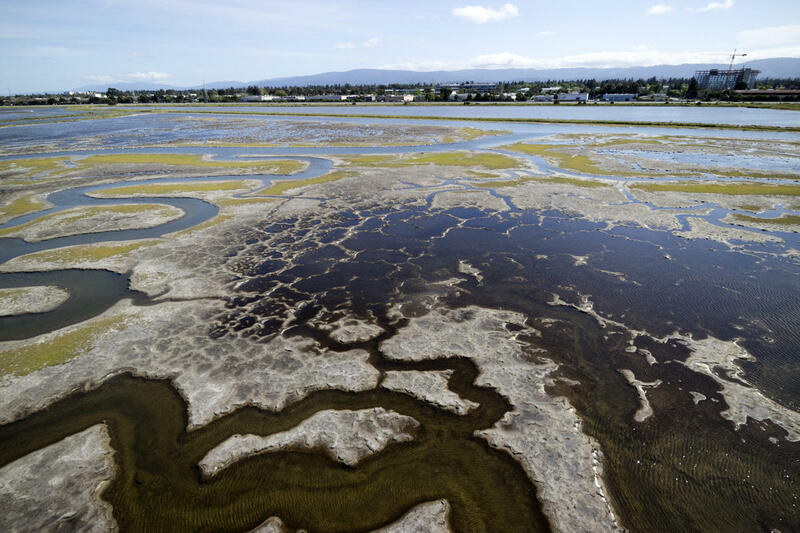 You can learn more about the South Bay Salt Pond Restoration project here, and you can see more of Cris Benton's photographs in a book he published called Saltscapes. This story is a part of Hey Area, KALW's collaborative reporting project. Got a question for Hey Area? Ask it below. 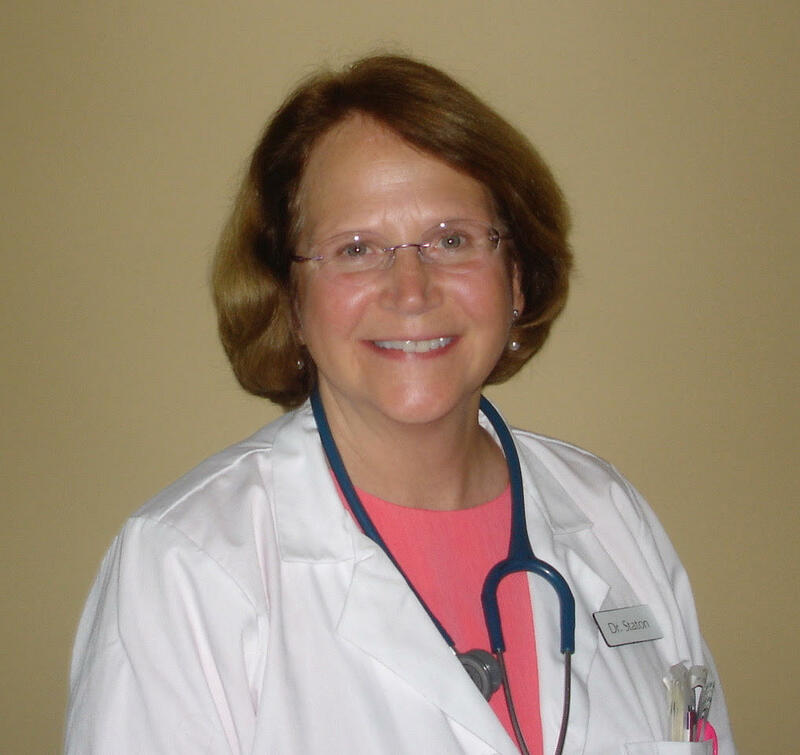 Donna Staton is a semi-retired pediatrician, now working in global child health. She moved to the Bay Area a few years ago and lives in Los Altos Hills with her husband Richard Tedlow. With a background in environmental science as well as medicine, she hopes to get involved in advocacy work focused on reducing the production and use of plastics due to their negative environmental and health effects. Hey Area: Why is San Francisco's Vaillancourt Fountain dry? The blocky Vaillancourt Fountain near San Francisco's Ferry Building has been controversial since its installation in the 1970s. One issue that's dogged the fountain for decades? It's often dry. Listener Ingrid Roseborough wrote to Hey Area wondering why. Click the player above the hear the answer. Hey Area: Why is Redwood City's slogan 'Climate Best by Government Test'? In 1925, Redwood City's real estate board offered a $10 prize for the best slogan for the growing city. The winning submission? "Climate Best by Government Test." In this Hey Area short-answer segment, reporter Jürgen Klemm digs into whether the claim is true. Click the player above to hear the answer. Hey Area: What are those giant bird nests in McLaren Park? McLaren Park in southeastern San Francisco is home to an amphitheater, seven miles of walking trails, sweeping views of San Bruno Mountain and — according to listener Danny Yanow — some "giant birds nests." Yanow wrote into KALW's collaborative reporting project Hey Area asking what kind of birds built them. The California Clapper Rail is a bird that likes to be heard, but not seen. But today, on this windy morning at Arrowhead Marsh in Oakland, they aren’t too vocal. In order to find them, Vivian Bui scans the air with a big metal antenna, attached to a receiver, while she listens through big headphones. Hey Area: Is Lake Merritt really a lake? Is Lake Merritt actually a lake? The answer is no! A more accurate name might be Lagoon Merritt or Slough Merritt, as it's connected to the salty ocean water of the Bay. In this short-answer segment, reporter Jürgen Klemm dives into the history of Oakland's heart-shaped body of water.